As Mount Olympus was the home of the Greek gods, so Mt. 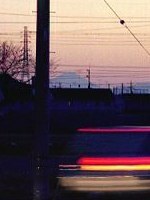 Fuji (3776 metres above sea level) has its place as the symbol of Japan. Although most popular tourist pictures show the view from the south, with the bullet train passing below Mount Fuji, the best views are from the north and east sides. Mt. Fuji from the east, this time from a beautifully kept Japanese garden in Oshino. Fuji in winter garb — the aerial view from the north. Fuji seen from the coast near Shizuoka, some 50 km away. A spectacular aerial view of the rare but genuine meteorological phenomenon whereby at dawn or sunset the whole side of the mountain appears to glow red. Mount Fuji seen from a lavender field, across Lake Kawaguchi, to the north of the mountain. Mount Fuji in its spring coat through a mass of cherry blossom makes for a challenging puzzle! The most sought after view of Fuji, from the park including this five-storied pagoda to the north-east of the mountain. Fuji towers majestically above the clouds. Fuji is a classical conical volcano: of not quite perfect symmetry, since the last eruption in 1707. Geologically it is young - perhaps only about 8000 years, but for obvious reasons it has been revered since ancient historical times. The name "Fuji" is ancient, and there seems to be no winner among the competing versions for its origin. It is clear that the Chinese characters used to write it nowadays (the "wealth-samurai" combination) are just chosen for convenience, and it is more likely that the name came from the language of the Ainu people. Note also that in Japanese it is called Fuji-san (not Fujiyama). Fuji towers so high above the surrounding mountains that it can be seen an incredible distance away. Here in Sano (Where's that? ), at 160 km distance, it is clearly visible particularly near sunset on haze-free winter days. For a short interval - between the demolition of the dyeing factory and the start of construction of the new hospital - I could see it from my office window. The photo on the right shows a glimpse through the utility poles, wires, and passing traffic, captured on New Year's Day 2001. For reference: you can view all the Mount Fuji puzzles that are out of print in the Attic.